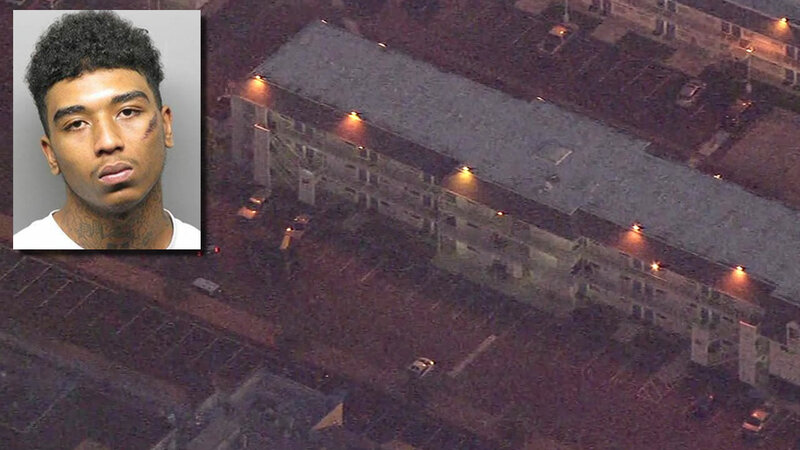 OAKLAND, Calif. (KGO) -- A police standoff at an East Oakland motel is over. Last night, a SWAT team tried to make contact with a man wanted for murder who they say barricaded himself inside the Motel 6 on Edes Avenue, near the Coliseum. Early this morning, officers moved in. The Alameda County coroner's office later removed a body from the motel room. Authorities say the body is believed to be 18-year-old Jason Brown, who they say was found dead from a self-inflicted gunshot. Brown is suspected of murders in Livermore, Fresno and Sacramento. OPD Tactical Team in 8400blk Edes Ave / Barricaded suspect wanted for homicide in another city. Attempting communication for safe surrender. Late Thursday afternoon, an ABC7 News viewer said people in the area were told to shelter in place. The viewer said police began to surround the motel at 3:30 p.m. The SWAT team showed up at 4:15 p.m. An hour later, people in the Alameda County Social Services building at Enterprise Way and 85th Avenue, were evacuated and the shelter-in-place order was lifted. Brown is wanted for the murder and attempted murder of two men in their 20s shot while sitting in a car in the CVS Pharmacy parking lot, at the Livermore Arcade Shopping Center on First Street, on Oct. 24. Livermore police identified the victim who was killed in that murder as 32-year-old Jose A. Mendoza and the second victim injured in the shooting is 22-year-old Ulizes Benitez -- both from Turlock. Brown is also suspected of killing a 27-year-old man inside a Fresno Thai restaurant on Sept. 12. Albert Thao was killed and another man was wounded by gunfire as they were eating in the MeKhong Restaurant. In Sacramento, investigators believe Brown shot and killed a 53-year-old man in September over drugs. Police say Brown, and another man named John Bunch, carried out the murder in a parking lot by shooting the victim in the chest. Bunch has since been arrested.